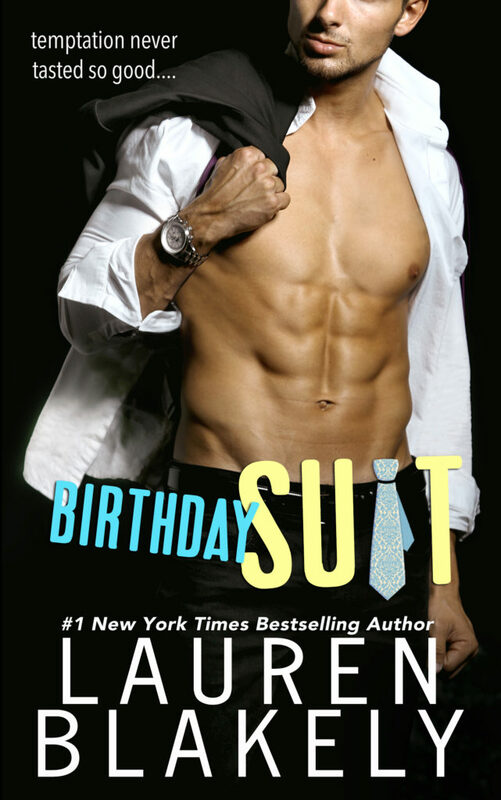 5 stars for Birthday Suit by Lauren Blakely! 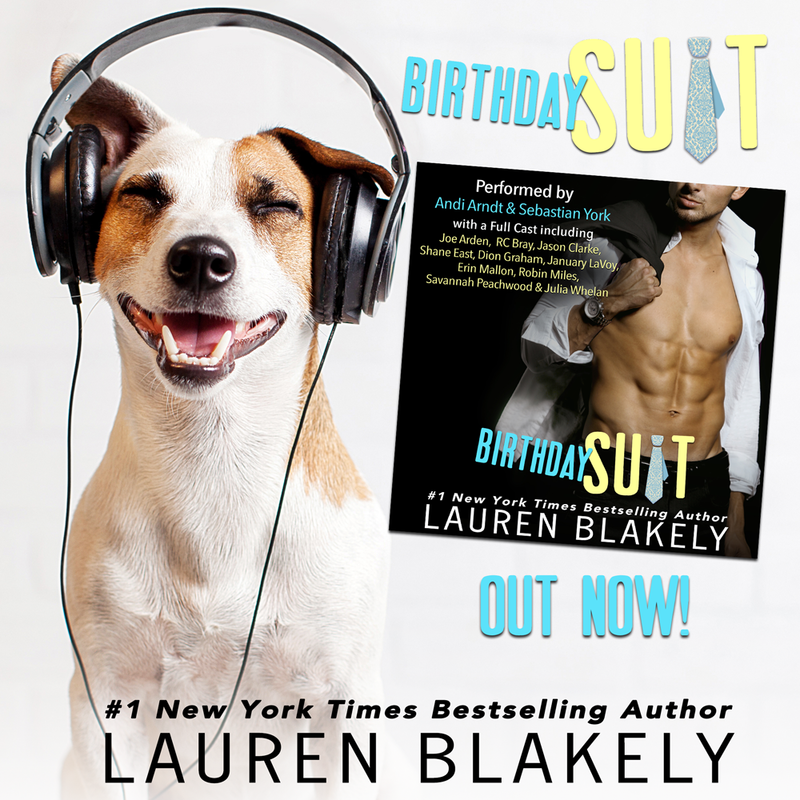 Yesterday I finished both the e-book and audiobook for Birthday Suit by Lauren Blakely and IT WAS SPECTACULAR! It has a cast of TWELVE narrators, led by fan favorites Andi Arndt and Sebastian York, and it's done DUET STYLE. Shouty capitals are absolutely necessary here- this audio was a PERFORMANCE! 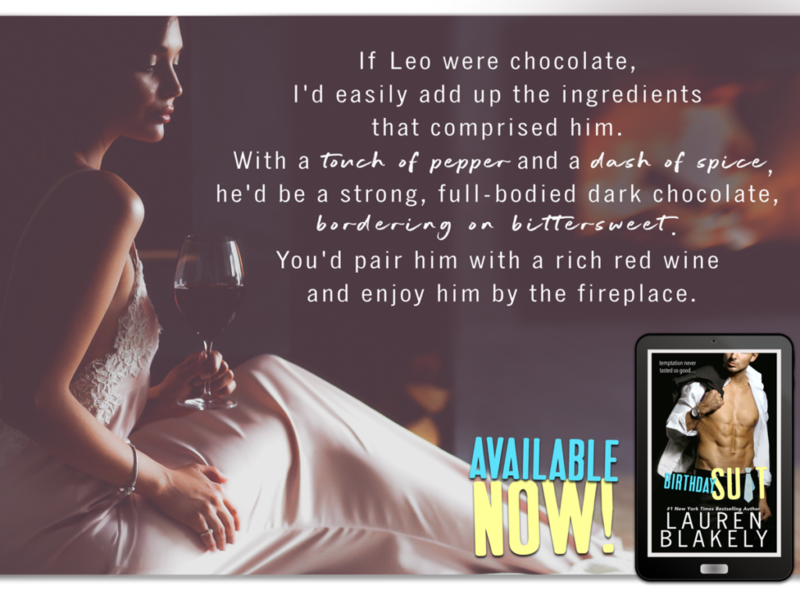 Blakely is one of my favorite one-click authors and her trademark wit was all over Birthday Suit. She develops her characters so well, and I always love the side characters as much as I love the leads. This story was sweet and charming while still taking us on an emotional ride. 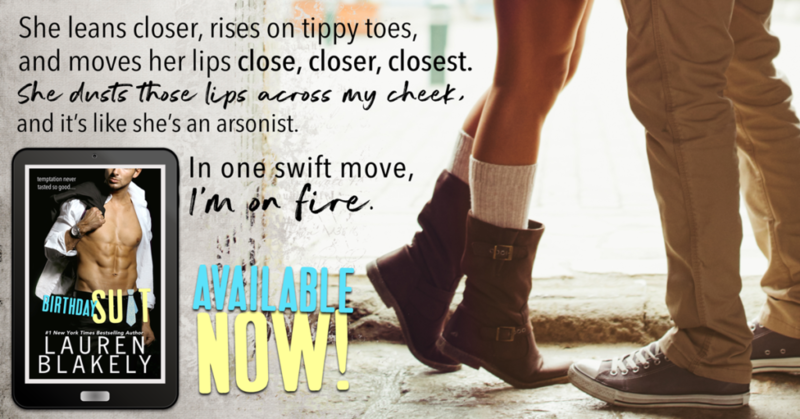 I feel confident that I can say this story and audiobook will be at the top of my Favorites of 2019 list- and yes, I know it's only January 17th! 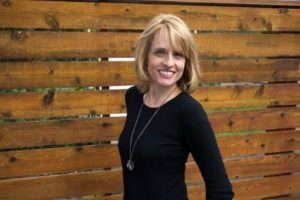 Before the audiobook was available, I was able to listen to the first chapter on my new favorite podcast, The Story Bites Podcast from Tanya Eby and Sarina Bowen. Each episode features some backstory on the book they feature and well as a juicy audio bite to get you excited- and episode 6 had me so excited for Birthday Suit! Great. Now I’m thinking of her in underwear. In f-ing llama underwear. Precisely the visual I’ve assembled way too many times without help, thank you very much. Minus the llamas, of course.